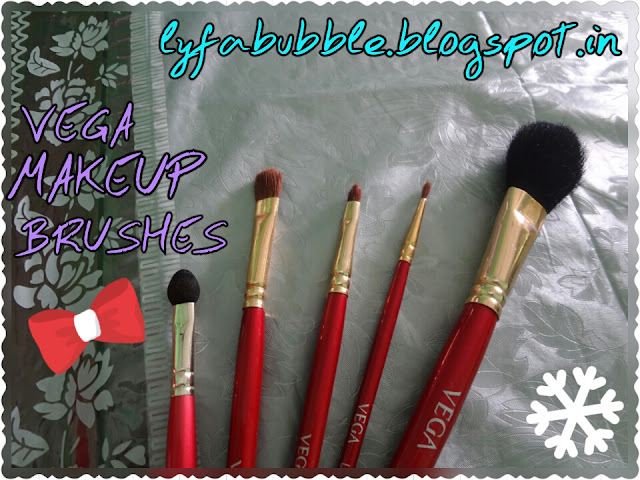 “Vega Makeup Brushes set” is meant exclusively for beginners. This set comes with 5 makeup brushes among which two are meant for eyes, other two for lips and last one is a blush brush. I was actually happy when I saw that all these brushes came in a plastic cylindrical translucent covering. 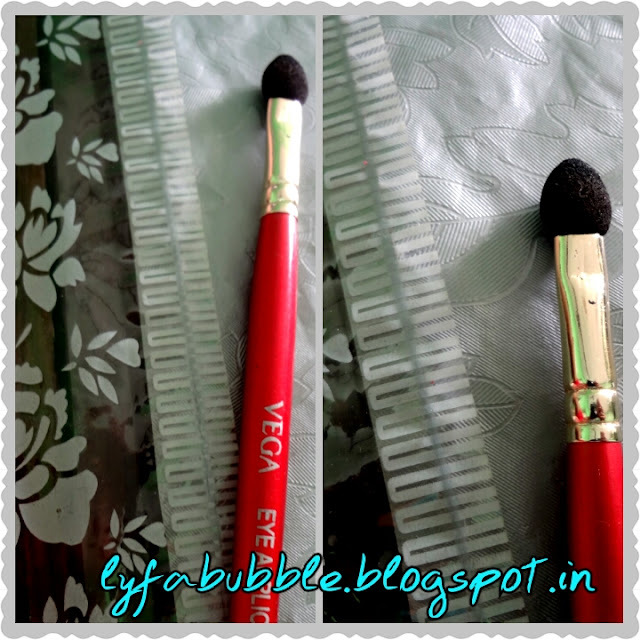 This covering helped in protecting the hair of brushes so that they retain their original shape. It can clearly be seen that a lot of effort was put up while manufacturing these. This set retails for Rs 225. Fortunately, all the brushes are named as per their usage which is a bonus for makeup freshmen. After experimenting with these, I realized that these brushes work great for multipurpose. 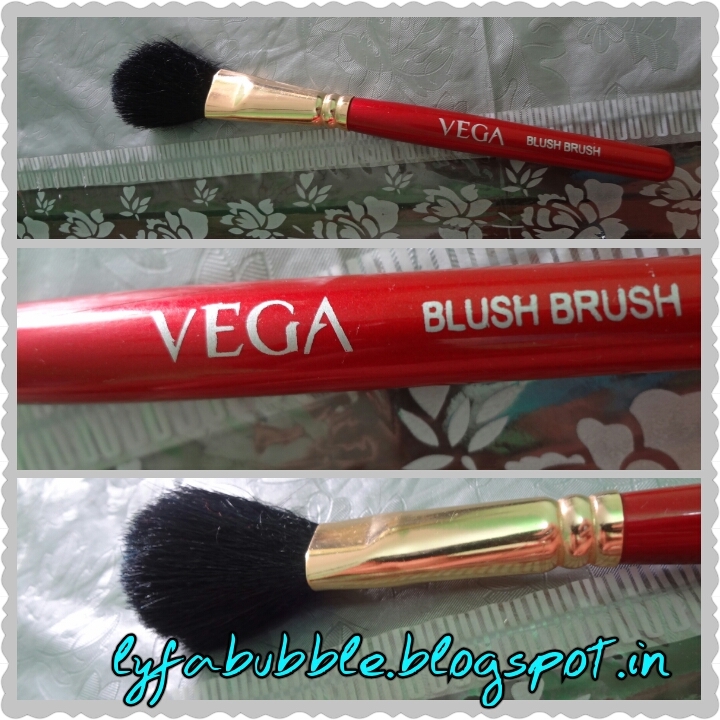 ‘Blush Brush’ is a fluffy brush meant for applying blush. This brush fares well for the job assigned to it. 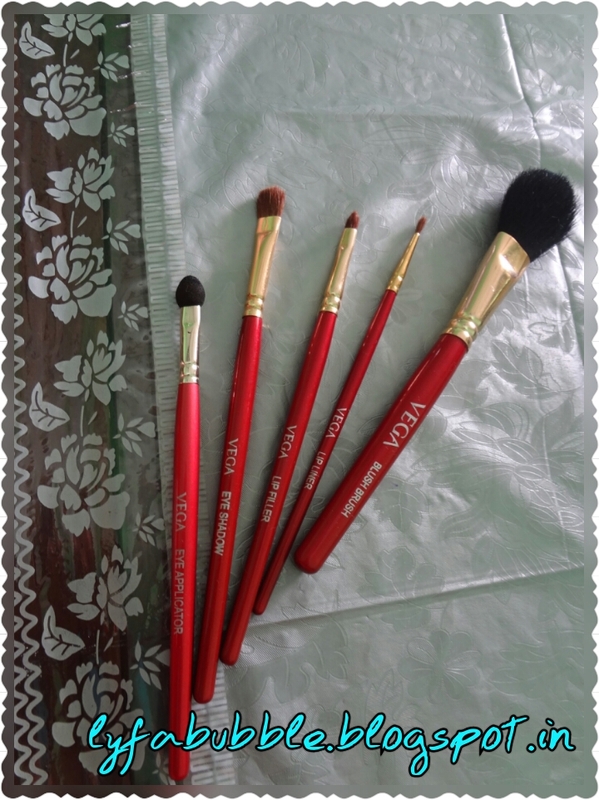 Blush brush is my favorite among this set. Not only do I use it for blush, but for face powder and soft everyday bronzing as well. If you dip it into your face powder, its bristles open up making it fluffier than before. Did you notice something funny in its name? This brush comes with a sponge tip which is meant for packing eye-shadow on lids. If you dip top half of this sponge into a cream or white colored eye-shadow, and place it into inner corners of your eyes; you can get wide awaken eyes. 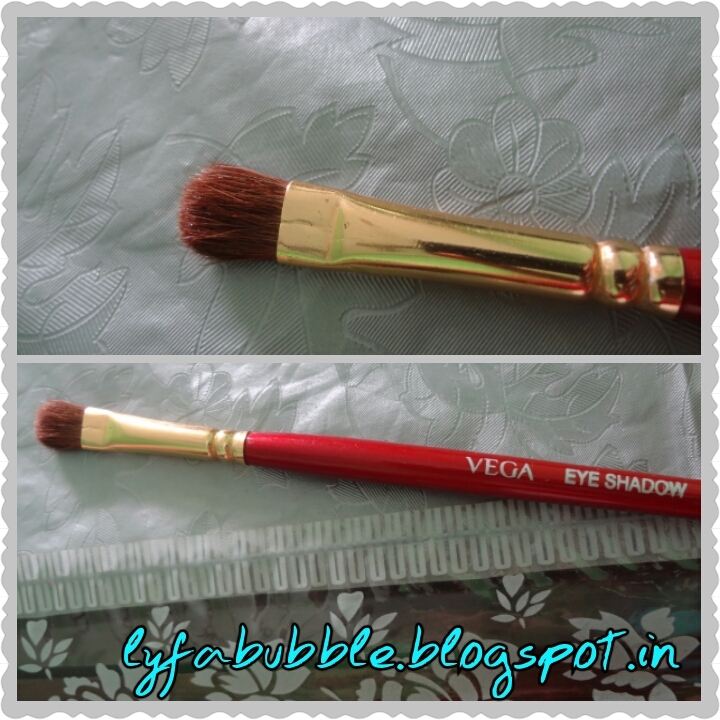 This brush can be used in crease area for blending eye-shadow. 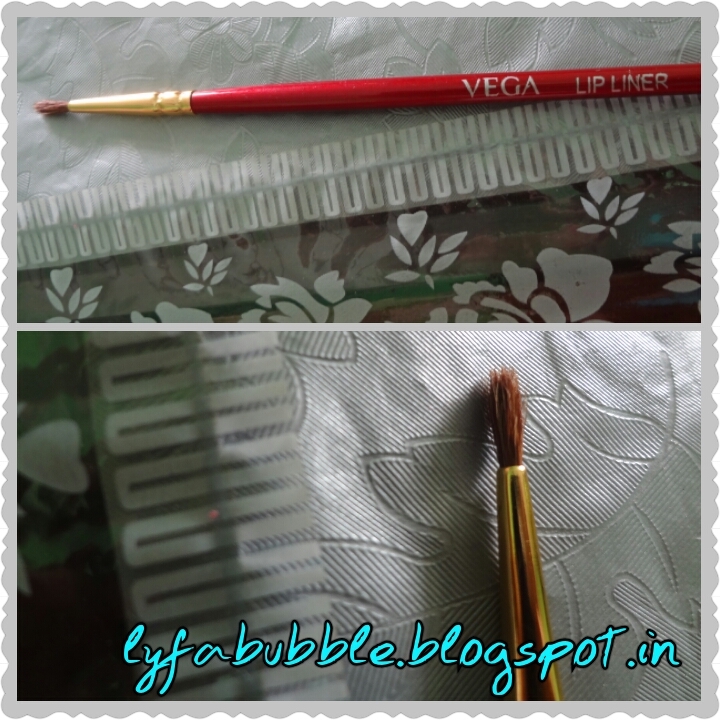 You defiantly cannot compare its blending effect with that of “Kryolan” brushes, but at such an inexpensive price, it is a decent brush. 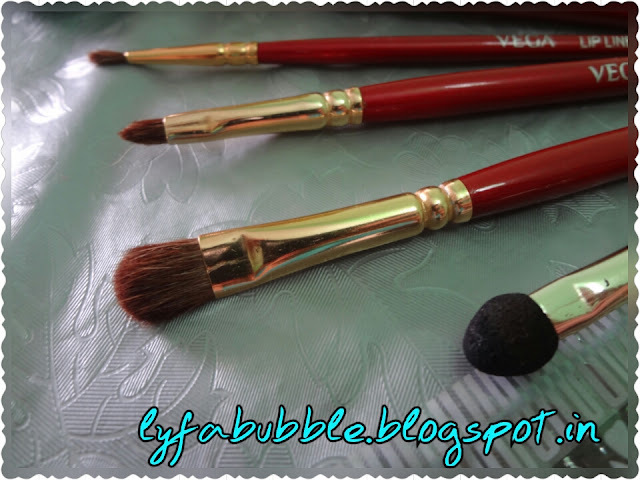 You definitely can create smokey eye look with this brush but it cannot quench your need for a fluffy blending crease brush. This brush has been assigned the role of lip lining, but you can also use it for defining your upper and lower lash line while doing your smokey eye-shadow look. ‘Lip filler’ help you in precise application of lipstick. 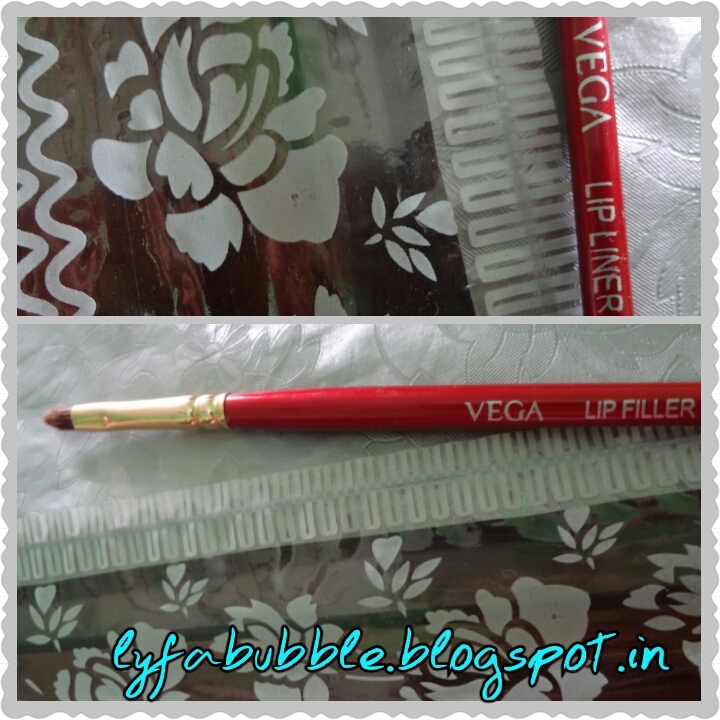 This brush is denser than ‘Lip liner’ brush, and has slight sharper edge for better grip in outlining the lips. If you are doing your smokey eye look and can’t find a brush to intensify your outer corner-v, then this will surely come handy. P.S. 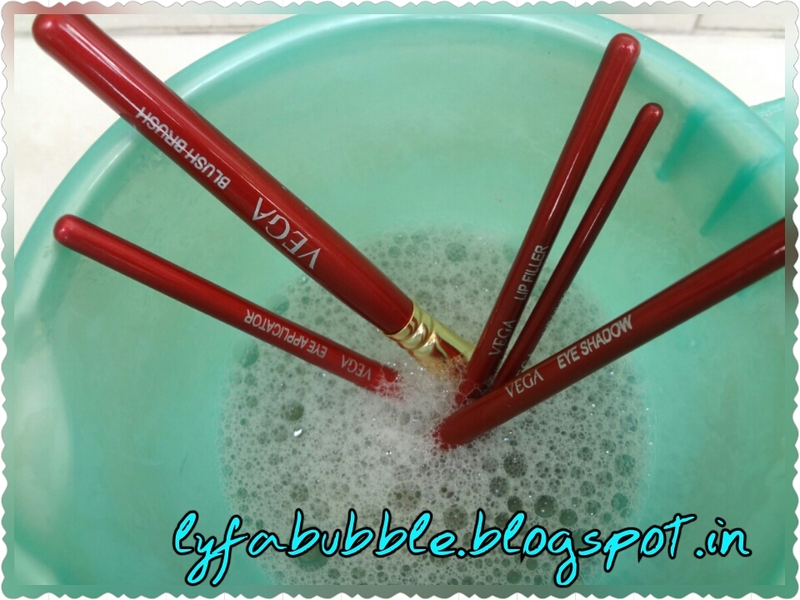 These are easy to wash and their bristles do not shed (rarely one or two strand). I use mild shampoos for washing my brushes.